S 500 x 492px 0.5 Mb. M 1000 x 985px 2 Mb. L 2000 x 1969px 8 Mb. XL 3320 x 3269px 15 Mb. 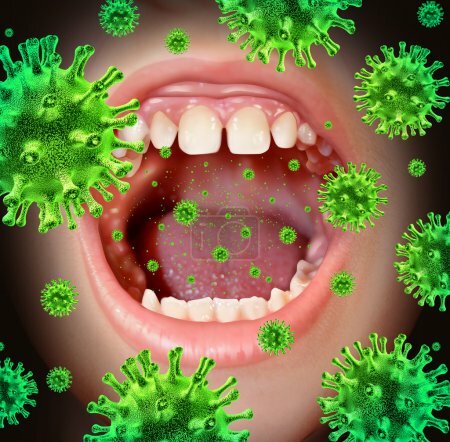 Contagious disease transmiting a virus infection with an open human mouth spreading dangerous infectious germs and bacteria while coughing during a cold or flu symptoms.